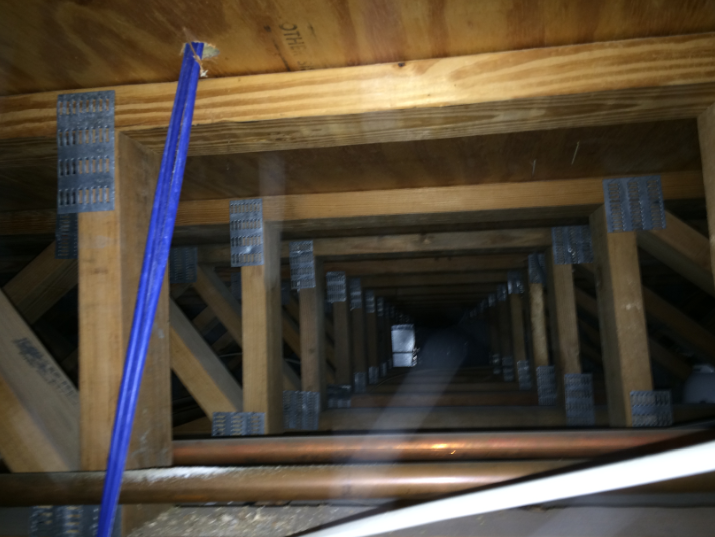 I’ve written about wiring ethernet between floors before, but during my latest round of home improvements I came across something I hadn’t really thought much about before: there’s usually a ton of space between floors in a house. This space can be really helpful when running cables (power, ethernet, or low-voltage) between floors when the walls don’t line up exactly, since it allows you to run cables horizontally before dropping down into the next wall. 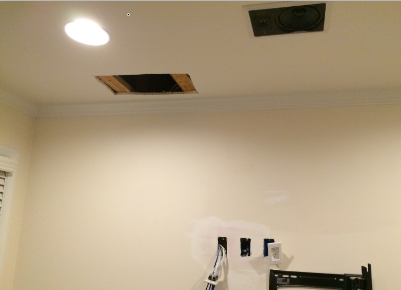 Once you’re done with the work, you’ll patch up the drywall in the ceiling just like you’ve done with walls. It’s a bit trickier sitting underneath the patch and applying spackle, and a lot trickier when it comes to sanding, but getting a little dirty is just part of the job. Remember to seal the hole once you’ve run the cables to act as a firebreak. ‹ Last minute Christmas gift idea : drones!